You’re in for a bumper crop of Lorraine recipes with this being the first of three things cooked this weekend. 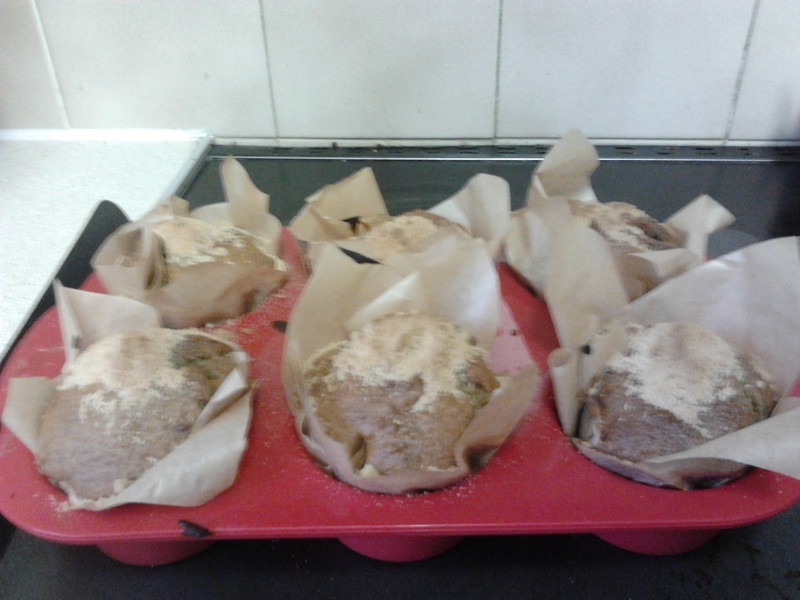 First up these muffins, which I baked primarily as a dessert, but also some for snacks. It’s all storecupboard ingredients, except frozen raspberries, which are a good freezer staple anyway, and buttermilk. You can make your own (sort of) buttermilk by adding 1 tsp of lemon juice to normal milk and leaving it for 5 minutes. I used soya milk because I’m still dairy-free. I wasn’t sure how well it would “curdle” with the lemon juice so I added a little bit of soya yoghurt to thicken it. But it seemed fine anyway. 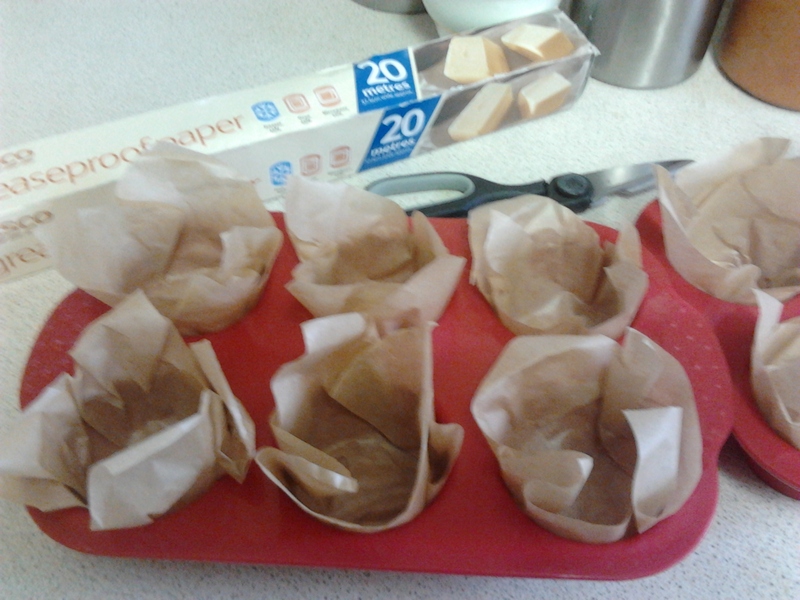 Firstly I had to make the muffin cases from baking parchment for a “deli” feel. You use 15cm squares of parchment. Lorraine says you need two squares for each muffin hole, but this would use a lot of baking parchment and isn’t necessary. One is ample. 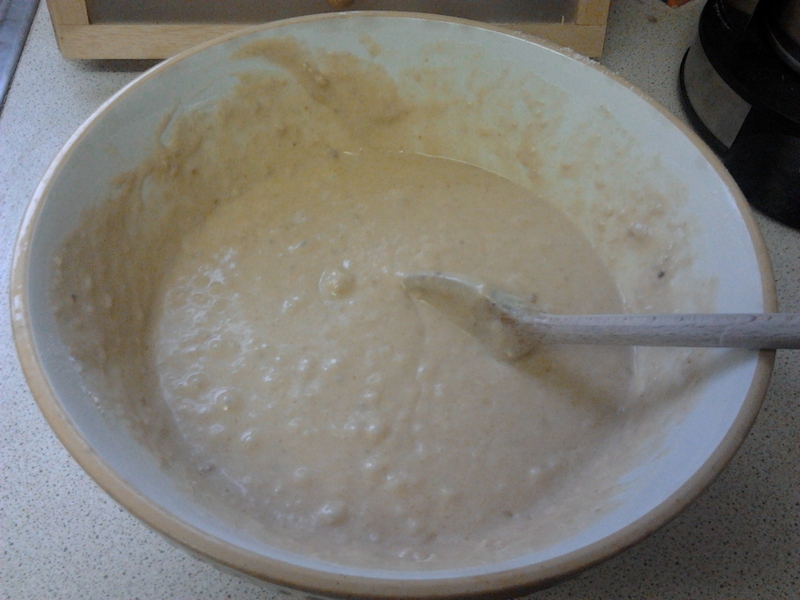 The batter is very wet. I found it easiest to transfer it to a jug to then pour into the muffin cases. 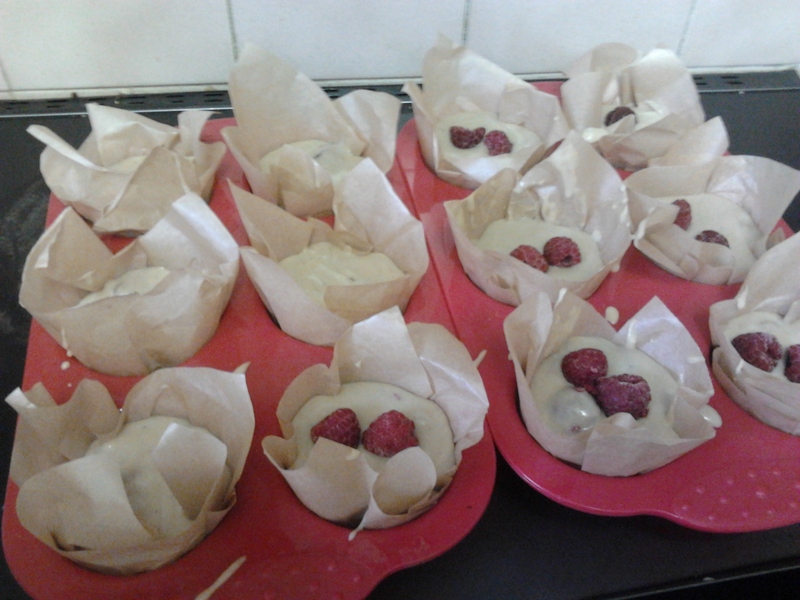 You then place some extra raspberries on top of the mixture with the idea that these will be visible. However, I found that they sank. Would fresh raspberries do the same I wonder? You cook them for about 20 minutes, then sprinkle with brown sugar and cook for another 10 minutes. This gives a sort of sugar crust. They were very simple, tasty and were all eaten quickly. This was a good thing as they don’t store well. 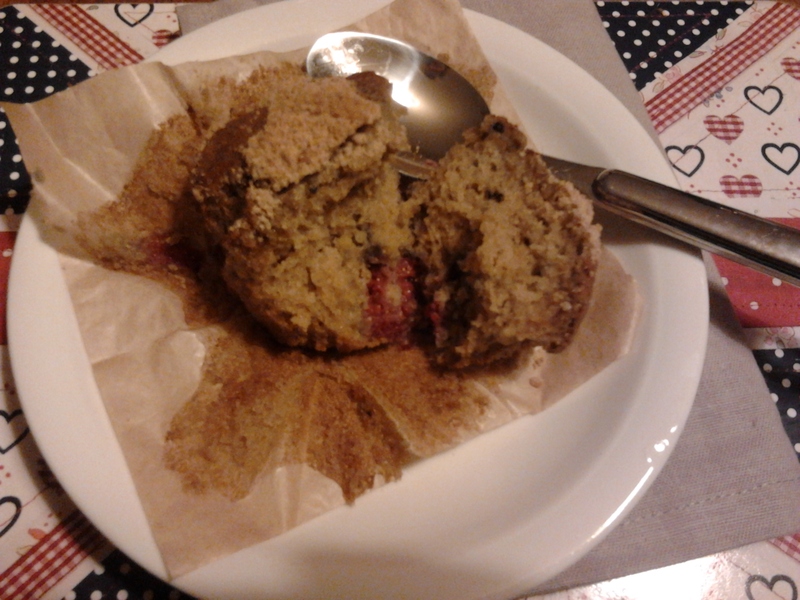 The sugar crust begins to dissolve from the moistness of the muffin. I also thought I’d share with you some Essential Kit I spotted whilst shopping the other day. 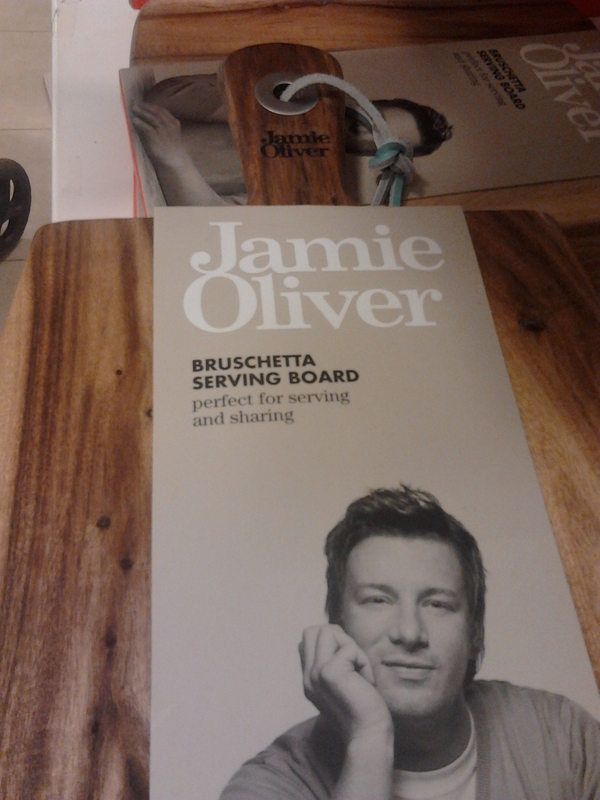 Debenhams says “Sharing and serving has never looked, or tasted, so good than with this stylish kitchen essential.” If only I had a spare £16 for it. Yes, and chocolate free so ideal for you!